Olive is the most ancient agricultural product in Syria, the birthplace of the olive tree. The total olive plantations in Syria planted are 650,000 hectares; the number of olive trees reached up to more than 90 million, of which 80% are in the productive stage; the rest are seedlings. Olive plantations are mainly located in the northern and western regions (Aleppo, Idleb, Lattakia and Tartous and Western Mountains of Homs), it is also widely spread in the southern region. Syria enjoys a fortune of the best varieties of olive, some of which are destined for oil extraction, others for preparation of table olives. 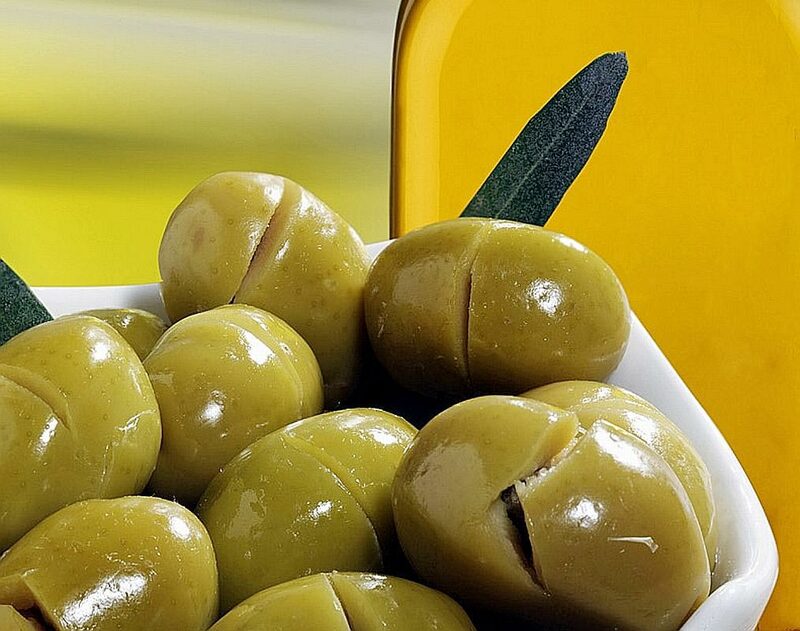 Our olives are processed in one of the most modern facilities in Syria with filling, pasteurization and sanitization lines for various packing types. We pack in tins, glass jars PET plates and plastic buckets, also bulk in 150 kg plastic barrels. Olives can be processed in different method: Greek style (Water& salt) and Spanish style (With caustic soda). Green, Black and Salad with mixture of various vegetables. We stuff our olives with carrots, red pepper, garlic, almonds and lemon peel. Easy open tins (200gr, 400gr, 170gr) Net Drained Weight. Glass jars (750gr, 700, 650gr) Net Drained Weight. PET plate (450gr, 400gr,500gr) Net Drained Weight. PE Bucket (8kg, 10kg,) Net Drained Weight. A10 tins (1,560gr, 1,700gr) Net Drained Weight. Bulk PE drums (160kg, 150kg ) Net Drained Weight.